Before "Born Slippy", Underworld were also a fantastic pop/rock band. This is a fantastic song. This is pop music sci-fi complete with "camp" organ and "mad" scientist laugh. Very catchy, I like it. Unbelievable, I never realised this was them. Hört sich eigentlich gar nicht nach Underworld an. War der erste Song den ich von denen kannte. Sogar gleich in den USA wurde davon Notiz genommen, #74 immerhin.<br>Nach Underworld (wie die meisten sie kennen) klingts deswegen nicht, weil der Techno erst erfunden wurde.. Very different from later releases; but it's still a cool pop track. Very cool song which has held up quite well. Great mash up of rock/synth. A less typical discotheque track. Their best. Maybe not as good as "Born Slippy. NUXX" but still brilliant. Brilliantly produced and has a real eerie feel to it, which is great and keeps it interesting. Love the vocals and hook too, really memorable. Such an awesome track, one of my favourites from the late '80s. Classic every day of the week! Damals noch mehr Rock als Electro orientierter Sound. ▒ Voortreffelijke, vlotte, swingende plaat uit februari 1988, o.l.v. het Britse duo: "Karl Hyde & Rick Smith", alias: "Underworld" (☼ 1980) !!! 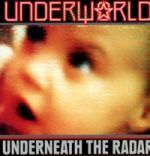 Afkomstig van hun gelijknamig studioalbum: "Underneath The Radar" !!! Volle bak ☺!! !